Founded in England in 1919, Cole & Mason have been producing high-quality salt and pepper mills for discerning consumers for almost a century. Their mills and shakers are beautifully formed and elegantly finished, and guaranteed to add a touch of style to your table. Whether dining or cooking, Cole & Mason salt and pepper grinders or shakers are sure to help you get the very best flavours out of your food to open up a new world of flavour. 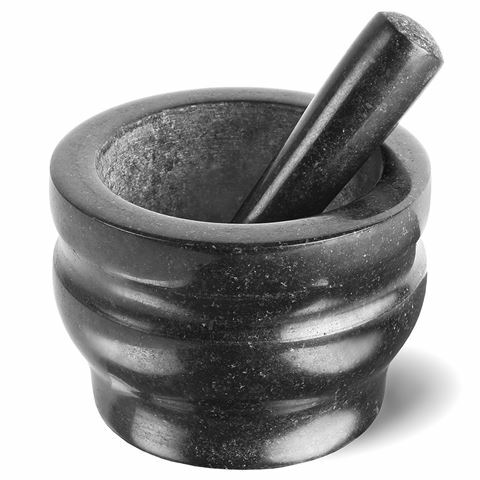 Much older but not dissimilar to a salt and pepper grinder is this Granite Pestle & Mortar. Its unglazed interior and specially shaped inner bowl makes for easy grinding, and can be used with both wet and dry herb mixes. Finally, its superior black granite construction is highly stylish, and highly durable. When it comes to consistency and quality, look no further than Cole & Mason. Unglazed interior for easy grinding. For use with wet and dry mixes.